Whether you are an entrepreneur, an individual business owner, a blogger, a webmaster, a freelancer, a successful business owner or may be a holiday freak. We are sure, you will always have some or the other work which sets all the constraints for you. You always seem unpleased and unsatisfied as this does wastage of your precious time, laborious work drain you and you are left with no energy to exercise the most productive and creative faculty of yours. Moreover, the strange truth is, your real success and growth is dependent solely upon your creative self. In short, you can see this as, you have to shed your unproductive workload to attain real growth in life. If you still stick to the more laborious and time consuming tasks, then the burden of these tasks will never let you exercise the most powerful assests of yours. Thus, the laborious works should be left for those who enjoy doing it or who will never complain performing those scheduled and monotonous duties. The concept of hiring a Virtual Staff originated from this very concept, a virtual staff has always stood as a defence for those, who hate to miss a vacation with friends due to work load, who want to distinguish themselves from the laborious chaps, those who love comfort and freedom, who mark their creative works or experiments as their priority, who not just look forward to make a living, but to make it large before they settle down, its for those who love to reach the zenith in this life term. Dilemma at Hiring a Virtual or Traditional Office Staff!! If you would have ever thought of hiring anyone, I bet you would have gone through this dilemma. The problem is very simple, but the oscillating gravity of human mind gives rise to indecision which at times costs more than you expect it to. No doubt, the virtual staffing always have an edge over the existing office scenerio. Hiring an offshore staff not only saves a lot of money, but it also fuels your success and ambition. People often go hiring in local market as they believe that the person who sits in their office is under their surveillance and they can monitor him, cross question him or bug him whenever they wish to. But, we believe – Whats the point at wasting resources and staff over someone who works for you, while a virtual assistant (V-S) will be ready to take all your targets and complete that work at his own responsibility. Why waste money over a stupid managing staff when the person you hire offshore is self-motivated to perform his/her duties with full efficiency. 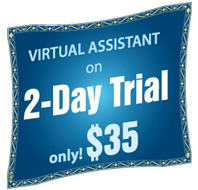 This is infact the key point which will move you in the favor of hiring a Virtual Staff, a V-S get paid for his active working hours, no matter how he takes out time or sacrifice over his health or family, it is not your headache, you pay only when the person work for a specific number of hours every week. The work model, whether small or large has always been very time consuming and set limitations to one’s life. You are bound to learn the secret art of sacrificing sweet-things in order to finish your monotonous work. The work, may or may not give you happiness or pleasure, but it surely snatches the real freedom from you. It’s high time now, enough of monotonous work, you should call it an off now and relax on a beach, enjoy the fine day, while your laborious works are being performed with same accuracy by your virtual staff. Hiring a virtual staff is no less than claiming your lost freedom and spread your wings for a better and pleasing flight.